The group of shows at Packer Schopf Gallery ruminates on intrusion. There is technological and environmental encroachment, and the intrusive mythos of masculine and feminine ideals. Michael Dinges’ “Lifeboat: The Wreck of the Invisible Hand” hangs center stage as a retired boat and a lesson. Made with vinyl siding, the scrimshaw declarations ring around this dramatic piece as if conversing with Victoria Fuller’s work across the room. Her piece, “Deep Down,” meditates on the inherent commingling in nature: a snake, an earthworm, and roots rise from the dirt to touch the air. At the same time, some of her materials, like gas pipe and metal tubing, interrupt the state of the nature she presents. Geoffry Smalley’s “Past Time” is an enigmatic body of work, hanging on the walls appearing, upon first look, as airy landscapes quoting the paintings of John Constable, or the encyclopedic pages of a National Geographic. Within these flowery places, though, are the cheeky and amusing additions of meticulously painted-in sports arenas. 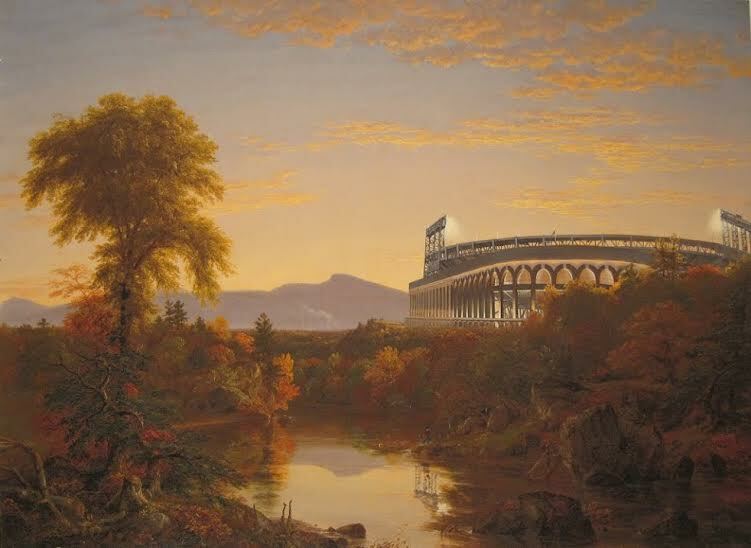 In “Catskill Creek, Citi Field,” a branded stadium is set back as a concrete invader disturbing the lazy creeks and autumnal trees with its heavy masculinity. In the next room, Karen Savage’s “Widow” collages hang as fractured feminine ideals. Most are mouthless and eyeless widows and hang amid photograms of highly feminine embroidered gloves and party dresses. They are deeply emotive images and are a darker take on gender than Smalley’s work. 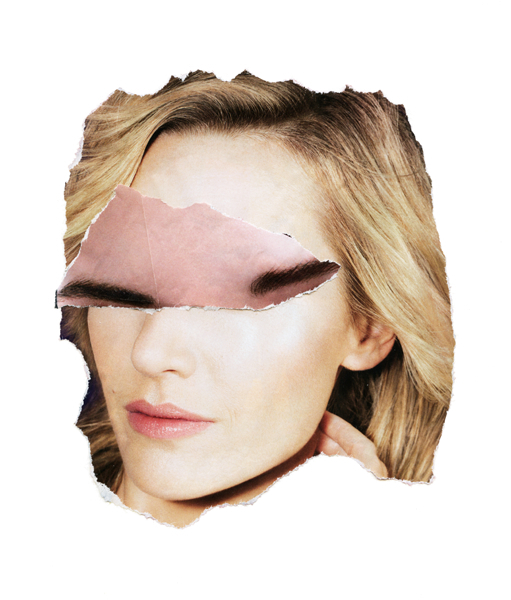 Savage seems to be warning us to be wary of the ideal since it may pull one apart as the collages attest, or it may lay you bare, intruding on the privacy of self as her photograms with their x-ray quality aptly declare. Through July 12 at Packer Schopf Gallery, 942 West Lake.